Recently, the FDA has reported that long-term use of stomach acid reducing drugs, also known as proton pump inhibitors (PPI), may affect magnesium levels in your body. As a result, PPI manufacturers must attach a warning label so that health care professionals and consumers are properly advised about the dangers and risks of using the drug. 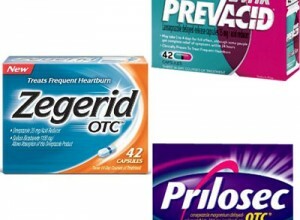 The FDA has asserted that people who have used prescription strength PPIs, such as Prilosec, Prevacid and Nexium, may suffer from abnormally low serum magnesium levels, also known as hypomagnesaemia. Injury symptoms for adults may include: abnormal heart rate, irregular heartbeat, heart palpitations, muscle spasms, convulsions, and tremors. Injury symptoms for children may include: upset stomach, fatigue, lightheadedness, and dizziness. Patients who take diuretics should be aware that taking their medication with a prescribed PPI can also cause hypomagnesaemia. Usually, people who are diagnosed with hypomagnesaemia take magnesium supplements to treat their condition. However, supplements alone did not improve low serum magnesium levels for people whose injuries were caused by PPIs; they were forced to stop taking PPIs completely in order to restore proper magnesium levels. This is not the first time that PPIs have come under investigation. PPI’s were scrutinized for their link to bone fractures in the hip, wrist and spine in May 2010. As a result, PPI manufacturers must now attach a warning label advising patients that the medication may increase the risk of bone fractures. The following medications have been cited for increased risk of bone fractures: Nexium, Dexilant, Prilosec, Prevacid, Aciphex, Protonix,Vimovo and Zegerid. It is very important that your doctor checks your magnesium level before prescribing a PPI; your doctor should also explain various hypomagnesaemia symptoms so you know what to look for. If you currently take a PPI, then your doctor should be monitoring your magnesium levels periodically. If you or a loved one is taking a PPI you need to be aware of the serious risks involved. If you took a PPI and suffered adverse side effects, call the lawyers of Parilman and Associates at 1-800-391-8000 immediately. This entry was posted in Blog and tagged bone fractures, defective products, hypomagnesaemia. Injury symptoms. Bookmark the permalink.